Go to your admin account and individually visit each project. 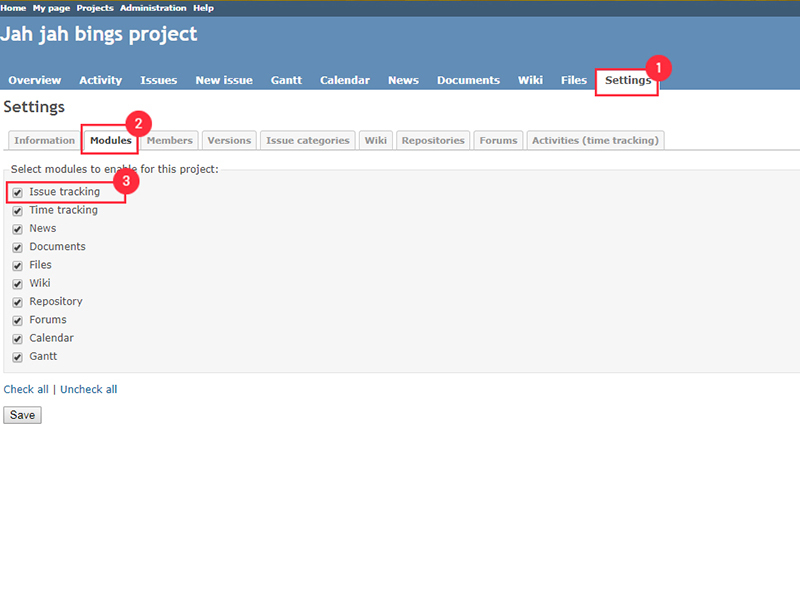 Once you’re inside a project, click on the settings tab and select the modules sub-tab. Make sure that you check the box for issue tracking to enable it in that project and click save for changes to take affect.